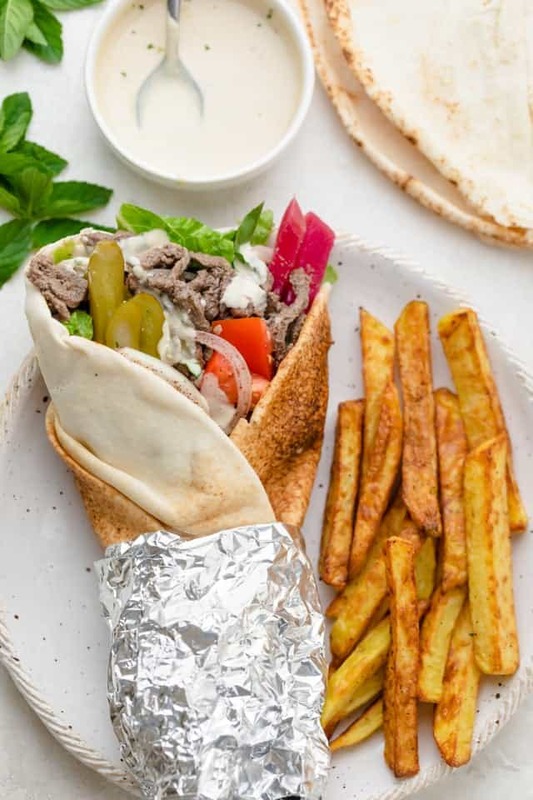 Shawarma is one of the most popular street foods, and especially so in the Middle East. 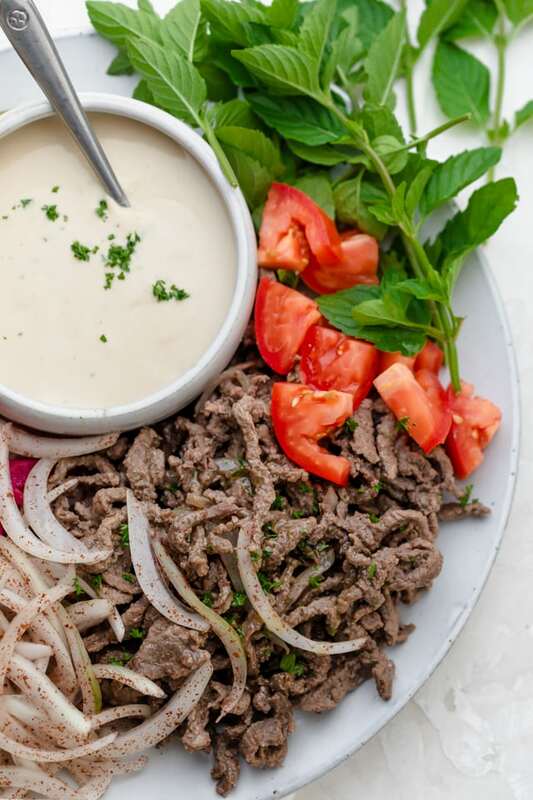 My beef shawarma recipe is an easy one you can make at home. The key is to tenderize the meat with lemon juice, olive oil, garlic and warm Mediterranean spices. And the end result is juicy, flavorful beef for a sandwich or wrap! Talking about shawarma again! This time beef shawarma. 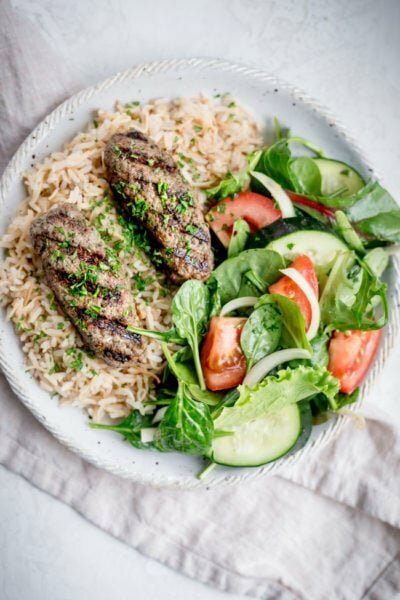 It’s a street-food classic that’s basically grilled beef or chicken heavily marinated in olive oil, vinegar, lemon juice and warm spices, cooked on a revolving pit and then shaved off for sandwiches. Shawarma is one of the world’s most popular street foods, but especially popular in the Middle East. It can be served on a plate with accompaniments or in a sandwich or wrap, which is more common. The spices I used for my Chicken Shawarma can also be used for Beef Shawarma, but at the Mediterranean grocery store I shop at, they have different pre-mixed Shawarma spices so buy one of of each. Specifically, the beef shawarma spices included all spice, black pepper, coriander, cinnamon, nutmeg, and sumac. Well, I definitely don’t have a revolving pit in my home kitchen! Goals, though, amiright?! So what I usually do is order lean sirloin that is cut into strips. At the butcher where I buy it, I just tell them beef shawarma, and they know exactly what I’m talking about! 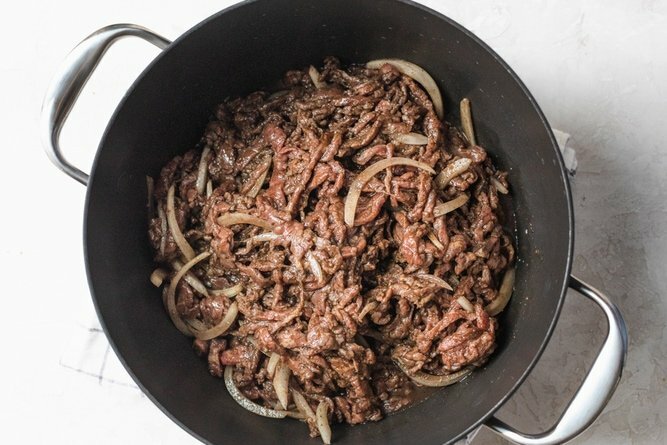 The goal with this dish is to tenderize the beef with the olive oil, vinegar, lemon juice, fresh garlic, and the spice combination and let it marinade for at least one hour, preferably overnight. You can also toss some sliced onions and lemon zest on top, but this part is optional. And this is what it looks like when it’s all mixed up. 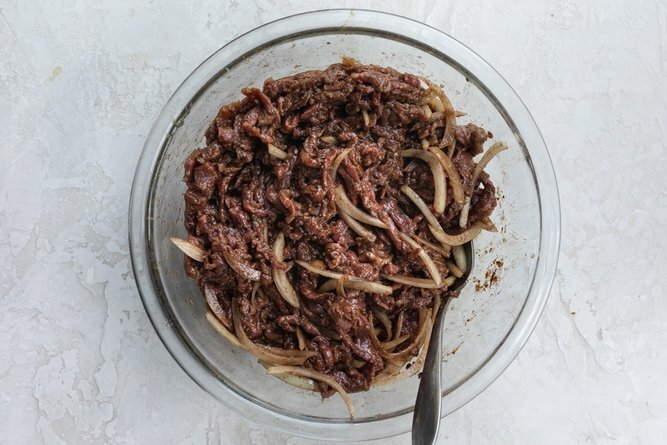 When I’m ready to cook it, I transfer the marinated beef shawarma to a pot and throw on some slices of lemon. If it marinated long enough, the meat will look very tender and almost cooked, so it really only needs 10-15 minutes to thoroughly cook it stovetop. Then it’s up to you how you serve it, roll it, wrap it or top it. I usually make 2 pounds of it and we eat it for 2-3 days. My kids love making their own sandwiches with it! 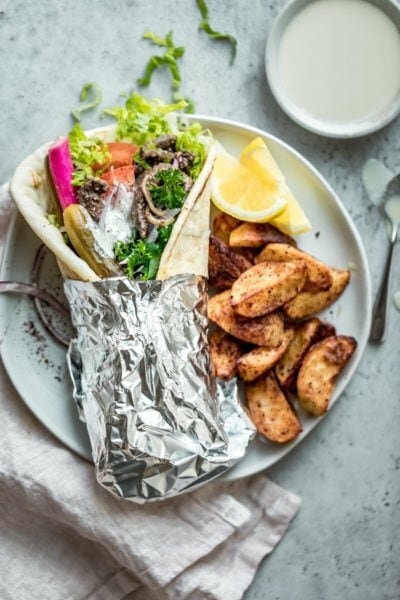 A lot of people will agree that the most important part of a beef shawarma wrap or sandwich is the tahini sauce that it goes with it. 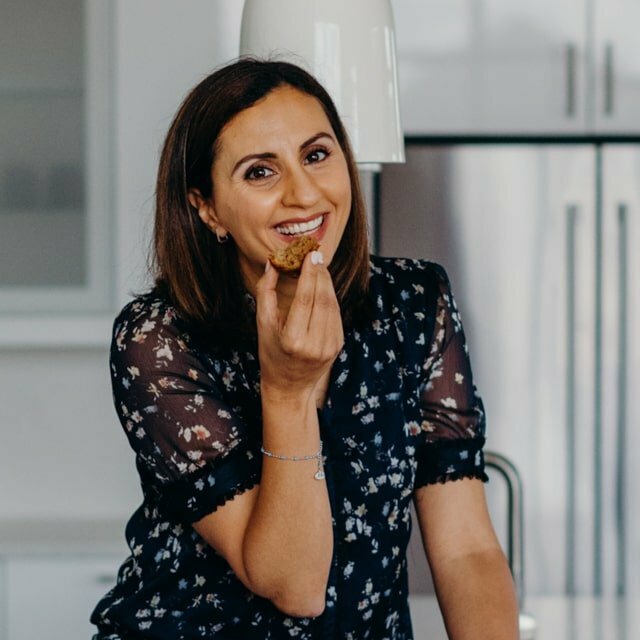 I make mine super simple by whisking freshly minced garlic with lemon juice and tahini paste and once it’s all blended, I add the water to get it to the consistency I like. It is EVERYTHING in this recipe!! This is the fun part! I mean look at all those colors! For the toppings and/or accompaniments if you’ve having this over rice or as a salad, use whatever you like! 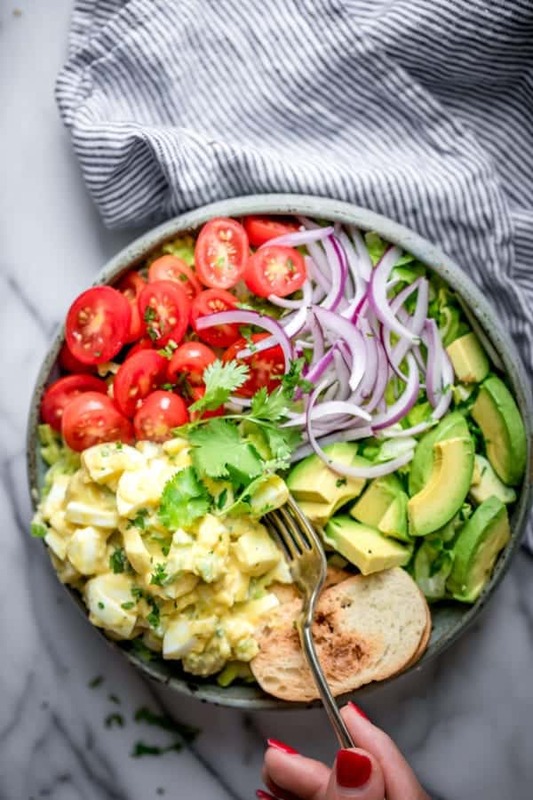 Traditionally, there’s tomatoes, cucumber pickles and red onions in addition to parsley and pickled turnips. But you can also added shredded lettuce, banana peppers, roasted red peppers, olives, lemon zest and really make it your own way! I make my kids pick two things to add to their wraps, and it’s usually pickles and tomatoes. Color quota fulfilled for the day! The assembly line meals are always the funnest! I usually use thin pita bread for my wraps. Then I roll it up and cut it half and eat with a side of baked potato wedges. 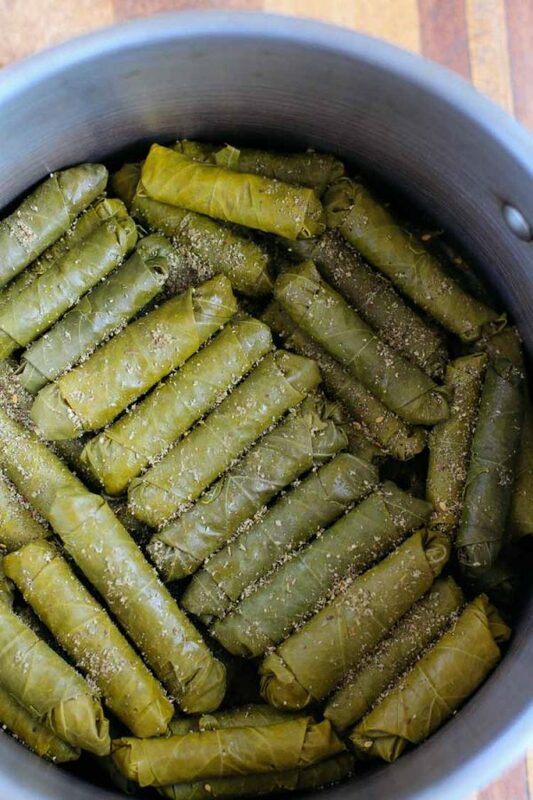 You can also use thick pita or naan bread to make the wraps. Just don’t skimp out on the veggies. 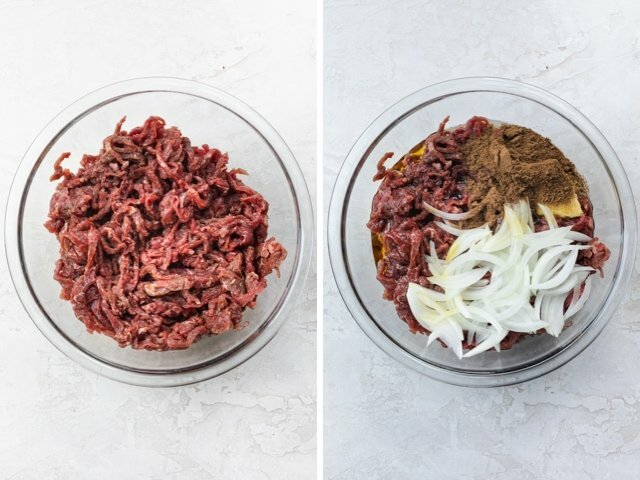 I hope you love this healthy-ish feelgood nutrition-packed beef shawarma recipe. If you make it, please leave me a comment telling me how you like it, or use hashtag #feelgoodfoodie on Instagram so I can see your recreations. To make the marinade, whisk the olive oil, vinegar, lemon juice, shawarma seasoning and garlic until well combined in a large bowl. Add the sirloin steak strips to the bowl and toss to fully coat the beef. with the marinade. Let it sit in the fridge for at least 1 hour, preferably a few hours or overnight. When ready to cook, add the onion slices and lemon slices, if desired, then transfer to a bottom-heavy pot and bring the mixture to a boil on high heat. Turn the heat to a simmer and allow to cook for 15 minutes. To make the tahini sauce, place all the ingredients together in a food processor and blend until well combined. 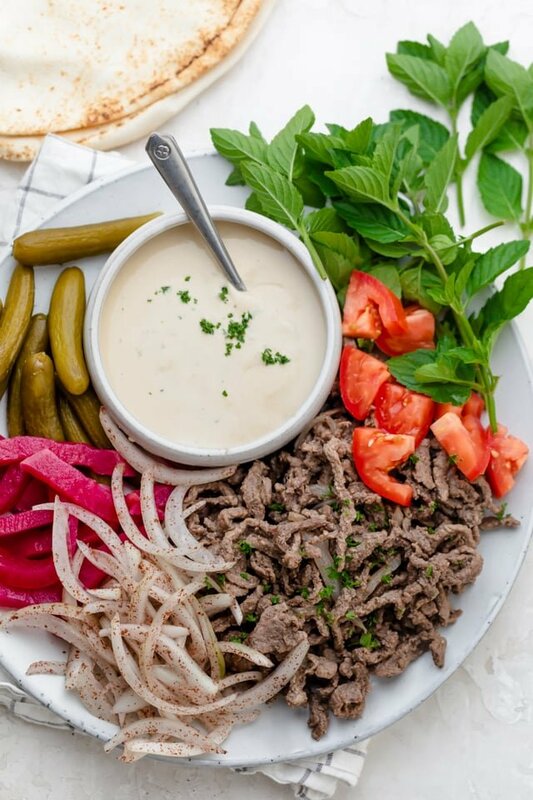 To assemble the pita, place the beef shawarma on the pita bread, top with the vegetables of choice, drizzle the tahini sauce on top and roll up. Marinade: It’s important to marinade this for at least one hour so it can allow the beef to become tender and succulent. You can marinade it up to 2-3 days in advance actually and the long the better. Please can I add milk to shawarma ? I would not recommend adding milk to it. Hi there! Thank you for this blog. 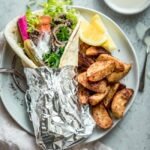 I am planning to put up a shawarma business here in Manila and Im glad I have stumbled on your blog! Thank you! Hi there, I’m so glad you found it helpful! As for the saffron, you can certainly add it to the shawarma spices but it’s not generally common as part of the authentic Lebanese shawarma recipe that I’m sharing here. Hope that helps and enjoy!! Do you have an actual seasoning recipe? I don’t have a place here with “shawarma seasoning”, unfortunately. Hi there, I’ve actually never made my own seasoning, but the beef shawarma spices is basically a combination of all spice, black pepper, coriander, cinnamon, nutmeg, and sumac. I would do more of the all spice, black pepper and coriander and less of the cinnamon, nutmeg and sumac. 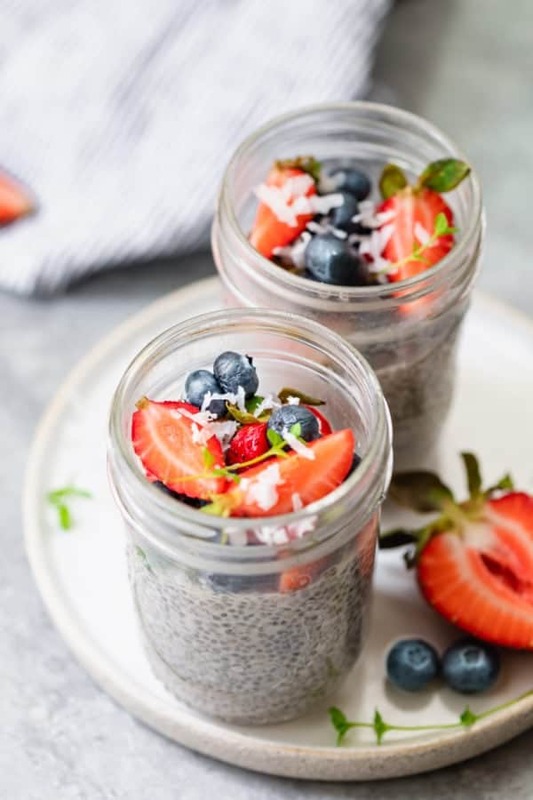 I will also try making my own and update this recipe with that information! Thank you! Walmart.com has shawarma seasoning.. it’s a McCormick brand. Oh my goodness, this was delicious!! I made this for my husbands family tonight and everyone gobbled it up and kept saying how the meat was melting in their mouths. 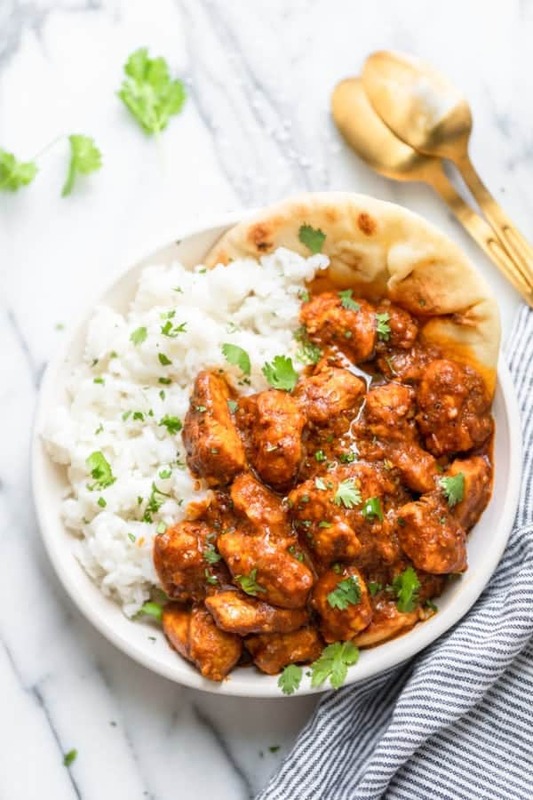 Thank you for another amazing recipe! Your Shawarma sandwich looks so good. Made it yesterday. Was a success. Super delicious. The tarator or tahini sauce and all those vegetables call for : make me more. 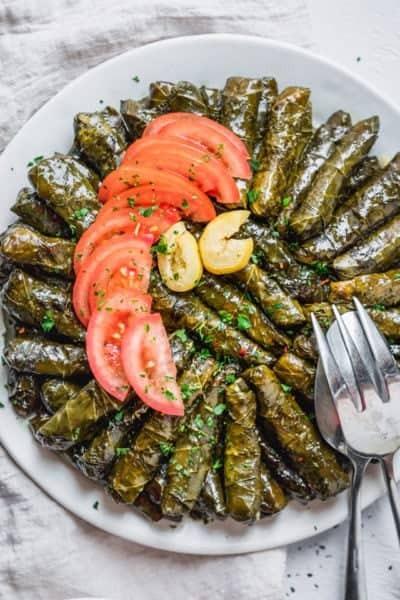 Looks delicious, I should not be on your page while fasting, it’s making me hungry!!! !